FastestVPN is a digital privacy and security service with the most precarious name on the market. The company was founded in 2016 in the Cayman Islands, which is excellent news for all users who dread the ever-growing reach of various international spy networks. Unfortunate nomenclature aside, let’s examine the service closely and see whether it meets our rigorous privacy and security requirements in this detailed and honest FastestVPN review. 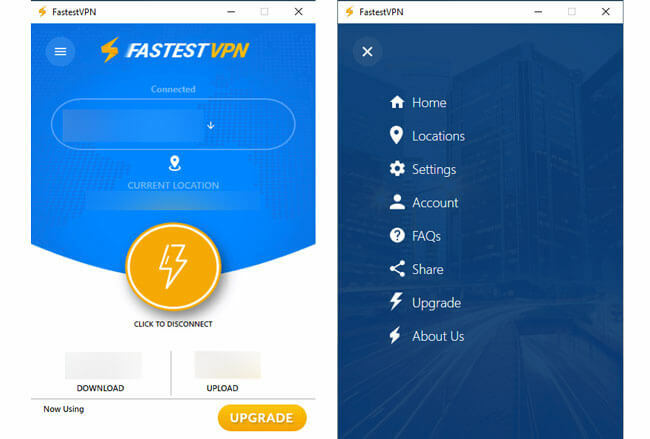 The FastestVPN client is extremely beginner-friendly and it can be downloaded from the official website in a matter of seconds. The design features a combination of white and blue with some orange details, which gives the client a very trendy and “jacked” appearance. Once you start the client, you will get a pretty standard sign-in box that requires your email and password, which you should have defined during the original account creation on the official website. When you log in, the client will automatically connect you to the closest server. The main screen features a big yellow connect button in the middle with information about download and upload speeds underneath and server information on top. The top-left corner is reserved for a hamburger menu with a wide variety of usual VPN settings and options. 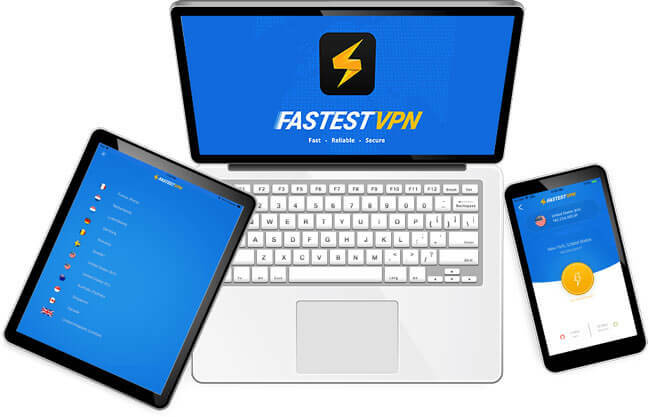 The main question we wanted to answer during our testing phase was whether FastestVPN is actually THE fastest VPN on the market. In short – it is not. We cannot say this fact surprised us since it is a relatively new and small VPN company that has to compete with the likes of ExpressVPN and NordVPN. This is why we believe its name is not ideal – if the service is not indeed the fastest out there, it will lower the company’s credibility. Having said that, FastestVPN is still incredibly fast compared to other services in its price range. The speed drop on average was around 2-4% on US servers and 5-6% for EU locations. The upload speed, however, was significantly lowered – around 20% in the US and 55% in the EU. We experienced a couple of disconnects during our initial testing but managed to reduce them significantly by playing around with different connection protocol and security settings. In other words, get ready for some trial & error before you get it right, which is not exactly ideal for beginners without any previous VPN expertise. FastestVPN covers a pretty impressive range of modern platforms, including Windows, Mac, iOS, Android, routers (13 different models, including Tomato, DD-WRT, Netgear, Asus, TP-Link, and others), and Linux (Ubuntu, Mint, Debian, Arch, Raspberry Pi, Fedora, and Kali). FastestVPN is also compatible with more than 20 popular devices, including Roku, Xbox, PS4, Kodi, and Firestick/Android Box units. FastestVPN is one of the most feature-rich services of its kind. Apart from protecting your identity and user data from prying eyes online, the software comes with a dedicated ad-blocking and anti-malware functionality. Note that the anti-malware could potentially clash with other similar programs running at the same time, so make sure to never run more than one at any given point. 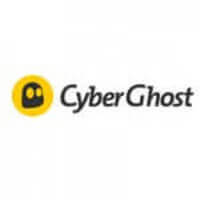 Contrary to popular belief, running FastestVPN with the premium version of Malwarebytes, for example, will not increase your online security but produce the opposite results. According to the company, FastestVPN currently operates around 70 servers in 22+ countries and allows up to 10 simultaneous connections, which is beyond impressive. The company also provides its users with unlimited bandwidth and server switching and guarantees 99.99% uptime. FastestVPN allows torrenting and offers specialized servers that guarantee anonymous P2P filesharing at blazing-fast speeds. The service also has the capacity of unlocking certain geo-restricted streaming platforms outside their countries of origin (not Netflix US, though). As we already mentioned in this FastestVPN review, the company is located in the Caymans, which means it is not subject to any mandatory data retention laws and it does not have to provide international surveillance networks with your information. Speaking of surveillance, the Cayman Islands take no part in spying organizations like Five, Nine, and Fourteen Eyes, so you do not have to worry about your data ending up in their hands. When it comes to connection protocols, FastestVPN supports Open VPN, L2TP, PPTP, UDP, TCP, and IKEv2. The default protocol is PPTP, which is far from ideal. It uses AES-256 cipher to encrypt your data, which is also used by the military and banks all over the world. Contrary to what some online reviewers might say, FastestVPN does have an automatic killswitch. In our experience, FastestVPN offers pretty reliable and knowledgeable user support. The team may not be able to answer overly complicated technical questions, but they will provide you with all the important details you need to know before you decide whether to purchase a subscription. Apart from the customer support email address, you can also contact the team via the live chat feature on the official website. We received our answers just seconds after sending the message. The company accepts a wide range of payment options including PayPal, credit cards, eWallets, BlueSnap, and other methods like wire and bank transfers and ACH. Note that FastestVPN does not accept Bitcoin at this time. FastestVPN does not offer a free trial for its service, but it does give you a 7-day money-back guarantee, which is more than enough to test the software and see if it works for you. As we wrap up this FastestVPN review, here’s a quick overview of the features that wowed us and the aspects of the service that could use some improvement. Our ratings are the result of an objective and independent evaluation of FastestVPN , generating the final rating that reflects the overall quality of the company. Ratings may change as the service changes. FastestVPN user rating based on 2 user reviews. We found 2 verified FastestVPN discounts for April, 2019.